1.Original and high quality screw sets for iPhone 4S. 2.Just compatible with iPhone 4S. 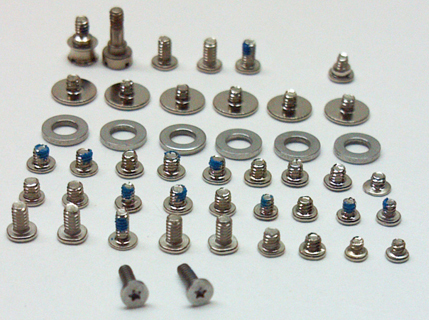 3.The iPhone 4S screw set is composed of all the screw pieces for iPhone 4S with the Pentalobe bottom screws.